Smoke colored, styrene plastic with fingerlifts. 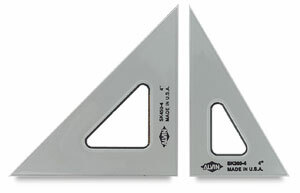 Double-bevel inking edge. 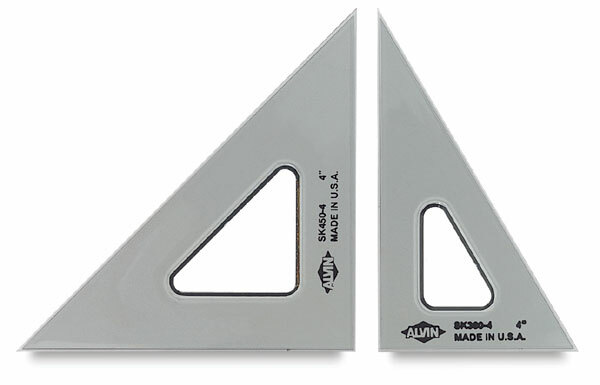 Both 30°-60° and 45°-90° triangles are available.